We Both Belong to Hindu Maratha Caste from Indapur, Pune and Pandharpur Solapur. We Got Married in Pandharpur through Maratha Marriage website Jeevanmeet.com Which Works for Educated Grooms/Boys and Brides/Girls in Maharashtra. 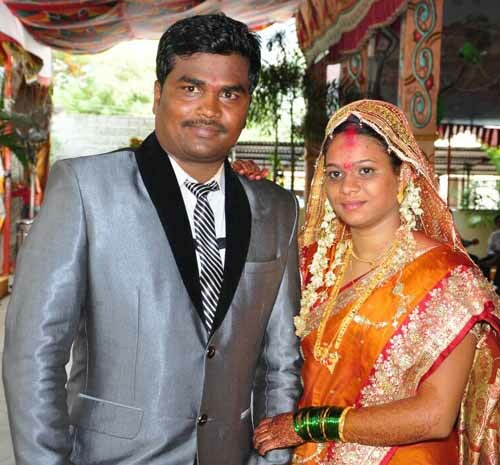 We both are Thankful to Rajendra Bhosale(Pandharpur) and Sanjay Deokar(Indapur) for getting our Soulmate. Team congratulates Atul Mahadik & Kavita Chavan. We wish you both a happy future. Copyright © 2010 JeevanMeet All Rights Reserved.